Summer Reading: Henry Reed Inc. I have this mental list of books that I wish PBS would turn into brilliant television adaptations, and near the top of the list is Keith Robertson’s utterly delightful Henry Reed series, about a U.S. diplomat’s son who spends most of his time with his globe-trotting parents in Europe but comes home in the summer to stay with his down-to-earth aunt and uncle in New Jersey. Henry’s fascinated by the American capitalist spirit, and most of the stories are about his summer earnings efforts. (The stories are set in the 1950s, when American enterprise was still bathed in a warm and folksy golden glow.) I would watch this show, with its rural New England landscapes and bright 1950s costuming, compulsively. Henry Reed Inc. (the first in the series) is also a quintessential summer read. In it, Henry comes to stay with his aunt and uncle for the first time in the little town of Grover’s Corners (if that sounds familiar, it’s also the name of town in Our Town), a rural town near Princeton, New Jersey. Henry’s determined to start a summer business, and he teams up with the girl next door, Midge, who’s smart, brave, curious, and every bit Henry’s equal. (Midge is one of my all-time favorite female sidekicks, and I’d like to Robertson a cookie for creating such a great example of a feminist character who’s totally believable as a pre-teen girl, an inhabitant of her time, and an independent-minded woman.) Because of their proximity to Princeton, the two decide they’re most likely to find research gigs, but their jobs end up being more varied than they’d expected, from raising worms and painting turtles to accidentally discovering oil. And along the way, they create plenty of friendly havoc, including a traffic jamming bathtub accident so crazy it makes the local news. Henry, bless his heart, has no real sense of humor, which makes his first-person reporting of these incidents even funnier. 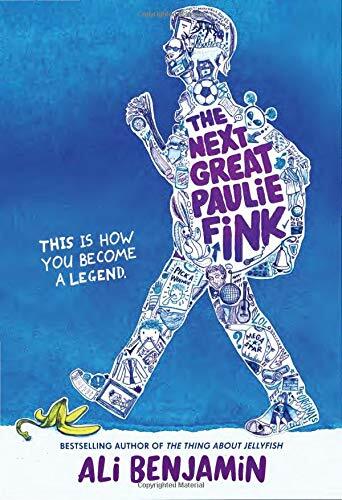 This is an old-fashioned summer story, with the same vibe as books like Gone Away Lake, where summer is a little big magical and anything can happen. The plot is full of wacky escapades, but really, not much happens—there are no dramatic denouements, just a series of adventures that end with Henry packing his bags and saying “See you next summer!” The characters feel like real people, even the just-passing-by folks, like the Princeton engineers who get stuck in Henry and Midge’s traffic jam. And the illustrations, by Caldecott winner Robert Robert McCloskey are just great. 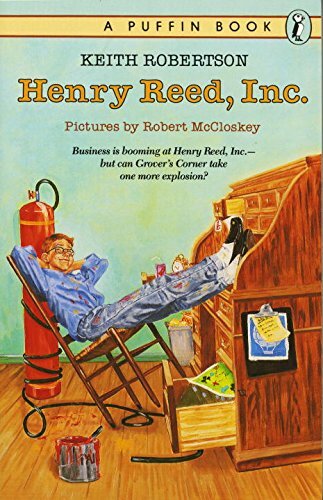 Henry Reed is definitely a character who deserves more attention—and adding Henry Reed Inc. to you summer reading list would make a great start.